A land area, in large part consisting of many people from so many different places (please read more about the land below). Local indengenous peoples and others who were later brought here over many years under horrible conditions against their will. Suffering people! Sacrificing people! From years past, whether it be the original Indengenous Americans, slaves from Africa, the Acadians (see below), displaced French prisoners...they were all distressed and simple people. Little Ones with no personal resources to do a great work! Perfect examples of the type of people that compose the Anawim. Having landed in Louisiana, yes, one could call them the Louisianawim. 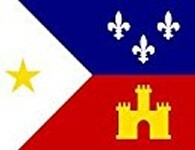 The Acadians, is one excellent example of little ones that are historically connected to this special land called Louisiana. 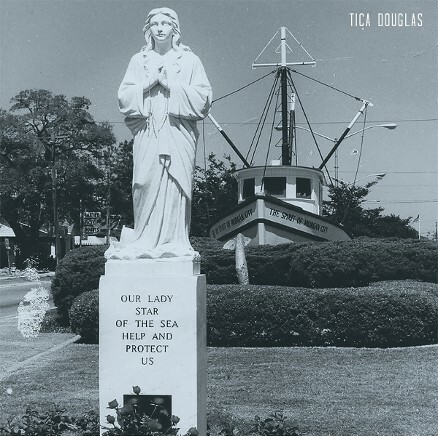 This group of people are unique in that the Acadians brought their Catholic Faith with them and practiced their faith in the midst of their devastating sacrifice over so many years. Their particular sacrifice, suffering and misery began in the mid-1700's. 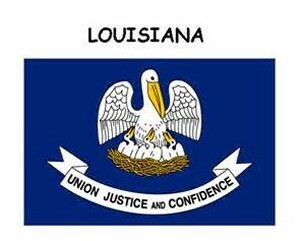 To see two examples of this Acadian/Cajun culture expressed in real time, please click on the following two images. 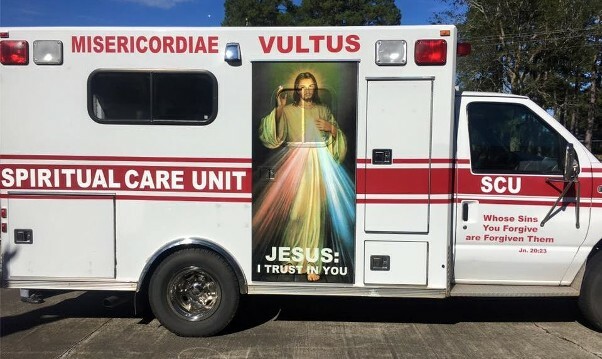 To see the CBS interview about this Spiritual Care Unit in the Diocese of Lafayette, click here. A southernmost body of land most recently created in water over thousands of years from the living waters of a great river first called by western explorers "The River of the Holy Spirit" and then later renamed "The River of the Immaculate Conception". We have seen The Holy Spirit and Our Lady in relationship before and the fruit of that was Jesus! 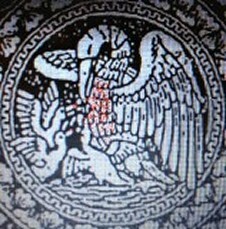 This land (symbolized by the image of the mother pelican feeding her young that is also a symbol of The Eucharist was formed by a river named for the same to persons. 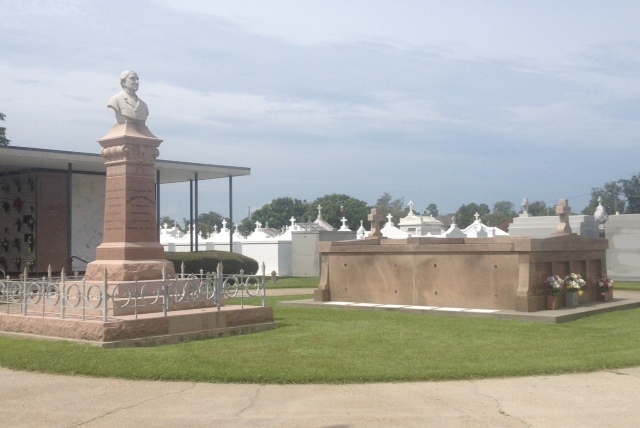 Therefore, Louisiana has been set-aside in time to uniquely demonstrate an extraordinary display of the Grace of God! The land is called to be an extraordinary form of The Church who is Jesus' mystical body on the earth today! WHAT IS OUR FIRST WORK? AND TO BECOME MORE EUCHARISTIC! To lead us into this ever-increasing time of trial and tribulation, to help us to better live the bitter realities of the sweet-tasting Word of God, Pope Francis (the Vicar of Christ) in September of 2015 to spoke before a joint session of the U.S. House of Representatives and the U.S. Senate. "Yours is a work which makes me reflect in two ways on the figure of Moses. On the one hand, the patriarch and lawgiver of the people of Israel symbolizes the need of peoples to keep alive their sense of unity by means of just legislation. On the other, the figure of Moses leads us directly to God and thus to the transcendent dignity of the human being. Moses provides us with a good synthesis of your work: you are asked to protect, by means of the law, the image and likeness fashioned by God on every human face." (For the full text of the speech, click on: Pope Francis speaks to Congress. Pope Francis spoke directly and uniquely to the Louisiananawim. Even being so "little", we can have the "confidence" to be totally "unified" and fully "just" only when we are fully "Eucharistic" in nature. 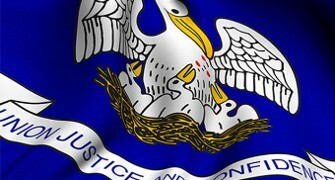 The Louisiana state symbol speaks directly to this fact when it clearly declares as our civil creed UNION, JUSTICE, CONFIDENCE. MORE ABOUT THE LAND, ITSELF! 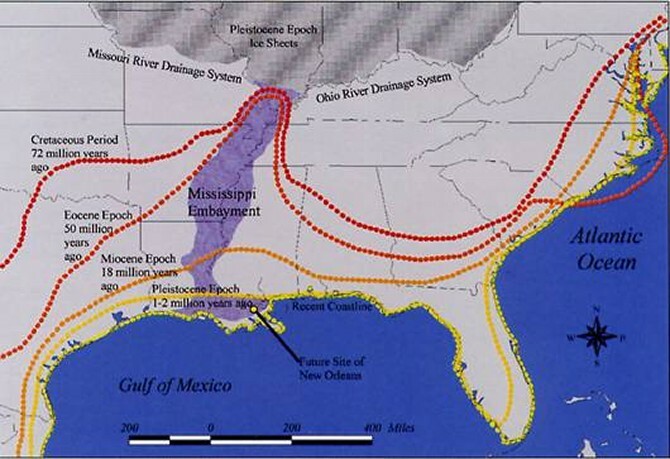 Over thousands of years Louisiana has been built from the best, most fertile, most productive land between the eastern U.S. mountain ranges and the western U.S. mountain ranges northerly into Canada. 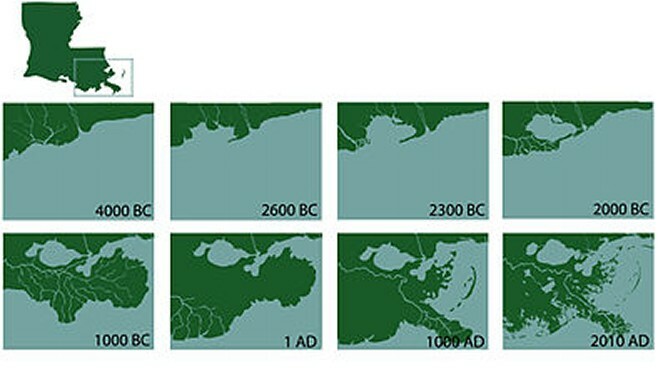 The secular world calls us "America's Wetland". The spiritual symbols are too clear to ignore, if one really looks with spiritual eyes, one sees "Louisiana is America's Land of Water and Fire!" By the actions of The River of the Holy Spirit (Spanish-named) and later the River of the Immaculate Conception (French-named), God relocated this fruitful top soil and deposited it in a small area in what is the now-named Gulf of Mexico where, over the generations, the "Louisianawim" have settled, and practiced their faith, and now faithfully pray the Six Glorious Mystery for the Glorious Return of Jesus. From the Holy Cross Jesus gathers all men to Himself. 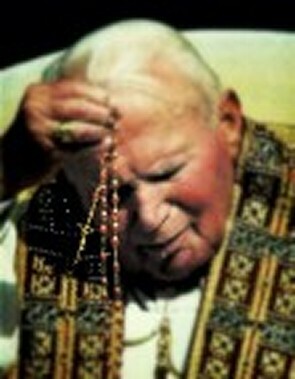 The Church is His mystical body on the earth today. The Church is called to be a light to the world. The most southern portion of this land - The Louisiana Delta - that has been built over these thousands of years - can easily be thought to be a symbol of His Church today. Mankind and the land has throughout history always be connected. The more favorable the land treats mankind the more connected mankind believes itself to be connected to God. 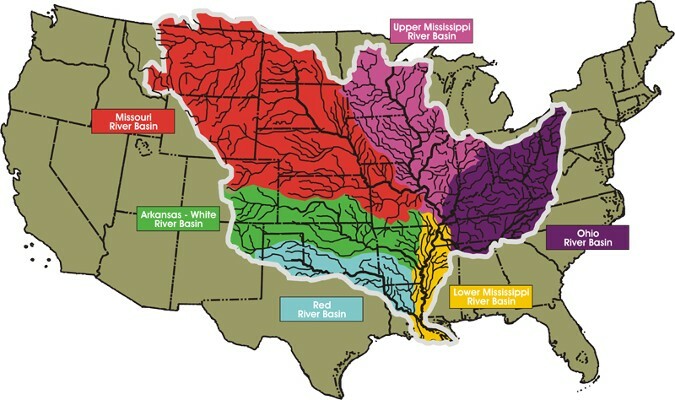 Louisiana - a land built out of the water of a mighty flowing river. (Rev. 22). 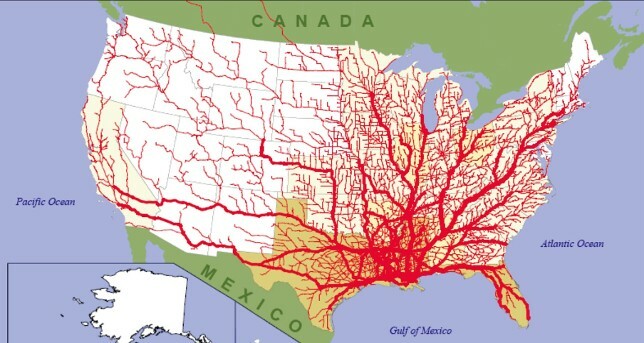 As earlier stated, Louisiana has been called by many in the secular world as "America's Wetland". It can be considered in a spiritual way as "America's Land of Water and Fire. Created by water and purified by the fire of the Holy Spirit. A land gathered by God over thousands of years for His purposes in time. A land annointed and blessed for these times. (Rev. 22). I would also like to enter into dialogue with the many elderly persons who are a storehouse of wisdom forged by experience, and who seek in many ways, especially through volunteer work, to share their stories and their insights. I know that many of them are retired, but still active; they keep working to build up this land. I also want to dialogue with all those young people who are working to realize their great and noble aspirations, who are not led astray by facile proposals, and who face difficult situations, often as a result of immaturity on the part of many adults. I wish to dialogue with all of you, and I would like to do so through the historical memory of your people." Much as Moses pled his case to Pharoh in Egypt, Pope Francis personally pled his case to the United States leaders on a prophetic day in September of 2015. As we may recall, when Pharoh failed to grant the request to free the people of Israel, but instead became obstinate to the plea of Moses, Divine Discipline fell upon Egypt by the means of many trials. So may well be the case in the United States. Was Pope Francis not only reflecting on Moses in memory while actually standing in his stead in real time? If we are a hard-hearted people, if we close our hearts to God, if we turn to the idols of modern time, why should we not also expect to experience Divine Discipline? Are we in-fact on the threshhold of that time? If we are serious about these questions and their answers, as the Louisianawim (a small part of the Remant Church) then we must also ask ourselves what is our individual role in these times? We must not ignore that we have unique and individual roles to personally carry out. The consequences to each one of us to ignore that, are eternal in nature! 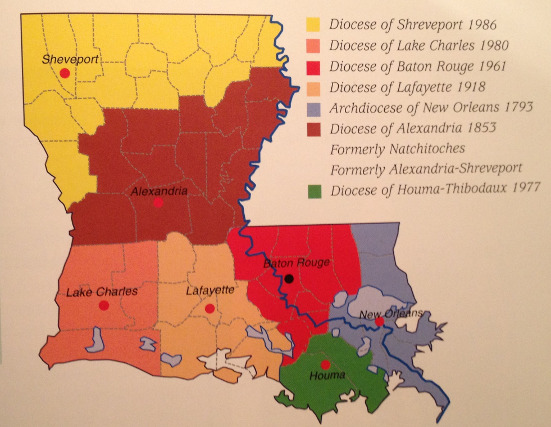 LOUISIANA IS CALLED FORWARD IN THESE TIMES TO SPREAD ITS UNIQUE EUCHARISTIC SPIRITUALITY ACROSS THIS COUNTRY...AND FURTHER! 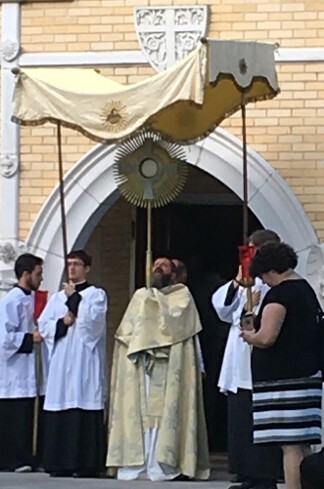 To address the spiritual challenges being faced throughout South Louisiana (and the Houma-Thibodaux Diocese in particular) young and spirit-filled new priests and religious men and women are coming forth to take on those challenges - with vigor. For more information on these men and women listen to the following video presented by Fr. Andre Melancon from the Diocese of Houma Thibodaux . Listen to Fr. Andre explain the MISSION. Become part of the mission. FR. 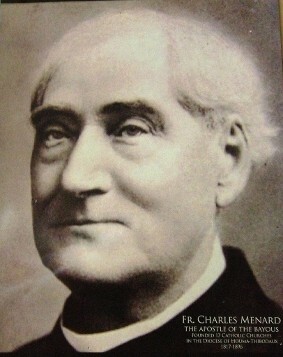 CHARLES MENARD, PRAY FOR US! Father Charles Menard (1817-1896) was best known for his work in building the Parish community and establishing outlaying parishes. 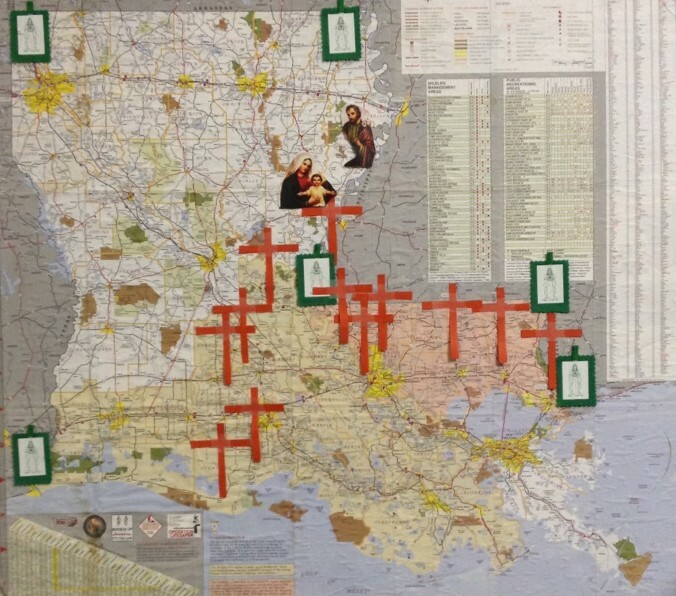 Father Menard served in Thibodaux, and in the neighboring Lafourche and Terrebonne parish communities, including Morgan City, Gibson, Chacahoula, Bayou Boeuf, Bayou Black, Schriever, Houma, Little Caillou, Raceland, Lockport, Larose, Chackbay, St. John, St. Charles and Labadieville. Through at least the intercessory prayer of the Apostle of the Bayous, we can begin again to rekindle the Catholic faith of so many brethren that have drifted in other directions. His prayers can lead us to re-evangelize the Bayous of Louisiana (and from here elsewhere) to bring all to the Fullness of Truth. We await a new creation of "new heavens and a new earth"; ... Is 65: 17-21 and Rev. 21 and following. 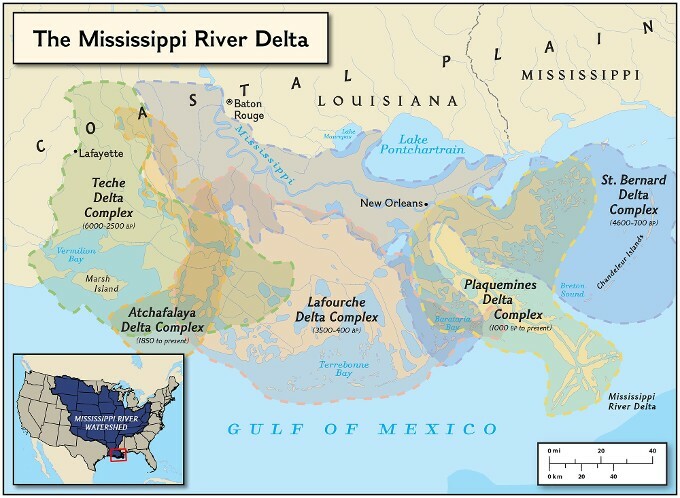 We suggest that the Modern Delta of South Louisiana is one extraordinary and material symbol of that new heaven and new earth. A unique area of land formed by a great river first named by western explorers as "The River of the Holy Spirit" and then subsequently named as "The River of the Immaculate Conception". These same two persons created the person of Jesus, the God-Man, in HIs humanity approximately 2,000 years ago. At approximately the same time as God entered into HIs convenant with Abraham (6,000 years ago) this great river, named as such, began to create this small area of land now sybolized by the mother pelican feeding her baby chicks - a church symbol of the Eucharist. Truly, the body, blood, soul and divinity of Jesus! HIs divine presence! Jesus is also present in His Church. A church journeying through time toward the "new heavens and a new earth". A church that has journeyed for 40 x 50 year jubilees. We are in a fullness of time never experienced before by His Church and out of this land called Louisiana (especially the Modern Delta), one will see the fullness of His Church in an extraordinary way. The compassionate and Sacred Heart of Jesus will come forth from this land. It has been annointed for that purpose. All can call upon the annointing that is available to all. All can become part of that Eucharistic Church! Call upon that annointing to become extraordinary in these times!